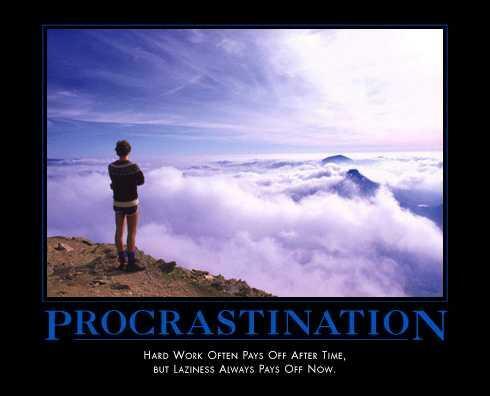 Justin's Blog » Blog Archive » Papers, Procrastination, and the Super Bowl . As I’m sure most of you know the Super Bowl is on February 5th. I’m taking two classes this semester, we meet on Monday and Tuesday nights. Both of my professors have assigned papers. One is due February 6th, the other on the 7th. So here’s my plan. Going to get one paper done this weekend. This gives me all next week and Saturday to get the other one done. I’ll keep you posted if this really happens.